For business owners, professionals, and wealthy families, tax rules are about as favorable as they've been in decades, but the tax policy pendulum could swing back again. Be prepared to make some important financial decisions much sooner than had been expected. 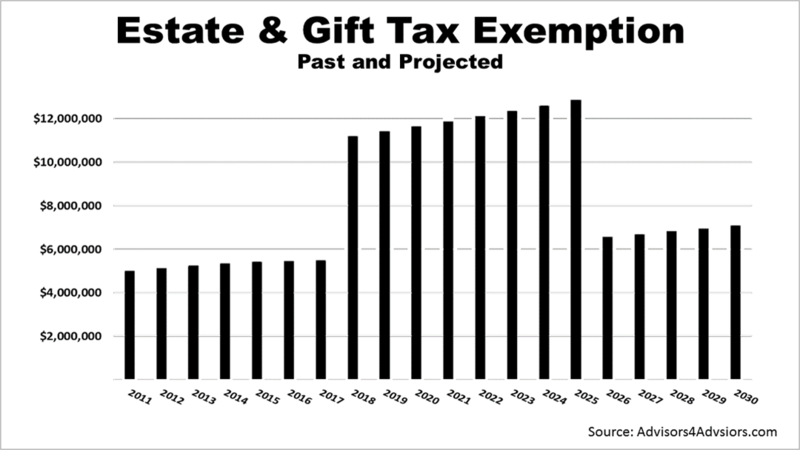 For example, the lifetime tax exemption for gifts made in 2019 is $11,400,000, up from $11,180, 000 in 2018. It doubled over the $5.43 million in effect in 2017 and is scheduled to ratchet higher through 2025, as a result of the enactment of the Tax Cuts & Jobs Act (TCJA). In 2026, the exemption reverts back to the level in effect before the TCJA became effective in December 2018. That means families should have many years before they would be forced to decide whether to make gifts in 2025 to maximize their exemptions from tax in passing their wealth to family members. The 2025 peak in the exemption amount forces a decision about whether to give assets to loved ones while you're still alive or hold onto your assets and give them away after you die. In 2025, you use the $12-million-plus exemption or lose it, and the exemption reverts back to a much lower amount in 2026 and beyond. However, the tax policy pendulum — a politically charged issue — could swing in the other direction in the months ahead. Business owners, professionals, and other high-net worth individuals may need to make decisions about gifting assets much sooner. There is no assurance that you will have until the end of 2025 to make this important strategic decision about passing on your family wealth. Point is, if tax policy changes, business owners, professionals and individuals benefiting from strategies enabled under the TCJA, may be forced to make decisions about income tax as well as estate and gift tax strategies much sooner than they might have expected. It's not an issue you want to fall behind on and will require personal and professional tax advice.